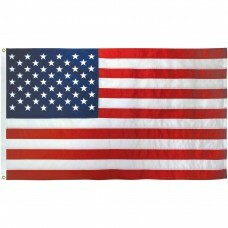 This 5x8' Nylon American flag features an Embroidered Star Field and Sewn Stripes to provide both beauty and strength. 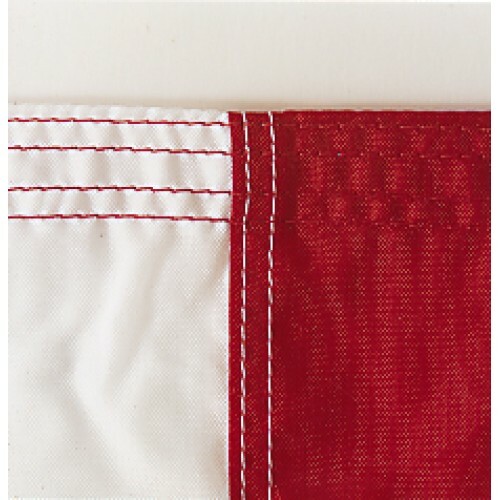 It is made from a dense 200 Denier SolarMax® Nylon to help resist fading and other effects from normal outdoor use. 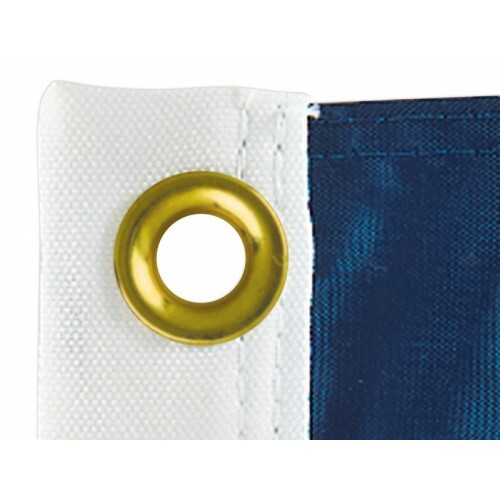 This nylon material outperforms all other nylon flag materials around. 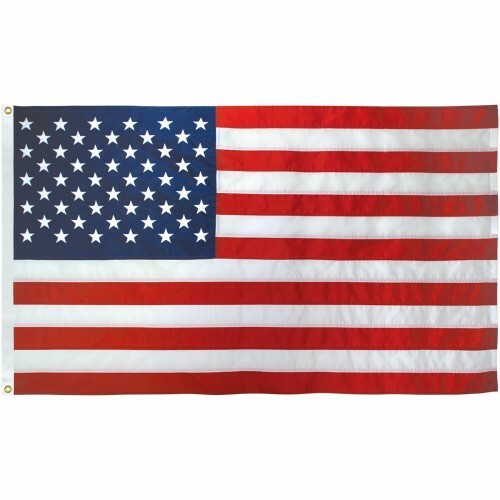 This size flag (5x8') is normally hung on a wall, in a window, or displayed on a flagpole (25'-30' high).